Here is a comprehensive overview and analysis of issues concerning the maternal-fetal relationship, from abortion to surrogate motherhood. Unlike many books which cover reproductive issues in general, this book focuses in-depth on one aspect of reproduction--the maternal-fetal relationship--to give readers a detailed study of the many issues involved. 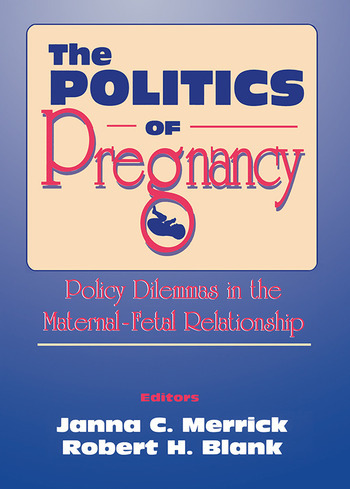 The Politics of Pregnancy discusses public policy dimensions of this relationship and posits new, critical political dilemmas. Many chapters in this unique book also provide significant clinical information as well as conceptual analysis. Readers interested in public and health care policy, nursing, feminism, pediatrics, or ethics, will find The Politics of Pregnancy to be a stimulating and thought-provoking book. This volume also makes an excellent discussion tool for graduate courses in these areas.